Red Hood and Arsenal and--Joker's Daughter?! As the boys deal with their newfound success as a rent-a-hero company, a new crop of catastrophe puts Jason and Roy to the test! But with a new hire like Joker's Daughter, who needs enemies? The three are locked in mortal combat with the evil Charon beneath the streets of Gotham City! But things in the "Nethers" get really crazy when Joker's Daughter attempts to save the day herself! Is she crazy-brave...or just plain crazy? 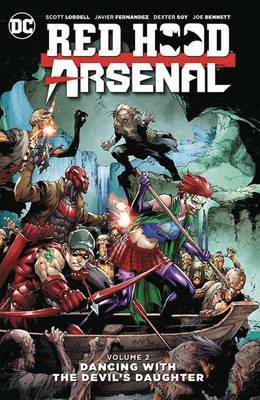 Collects RED HOOD/ARSENAL #7-12.